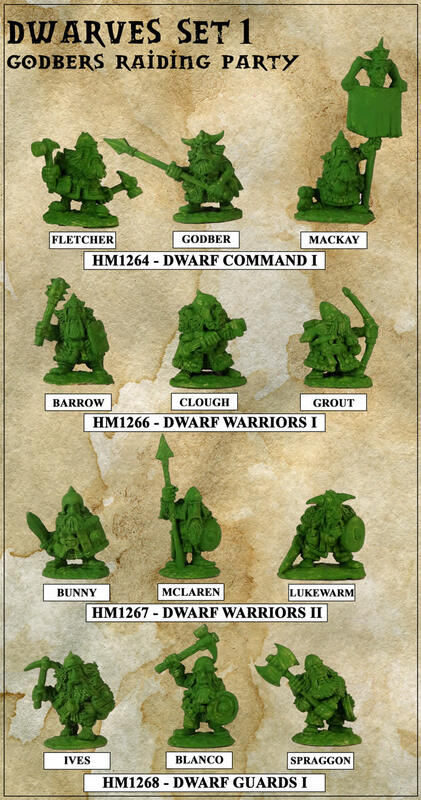 Kev Adams carved 36 dwarves in 28mm, which must change him from the usual goblins. I just ordered a pack of these. Always wondered what happened to this vintage line of dwarves. Now you can get them again! I have a bunch of these original models & didn't know where they came from. I must've shopped a lot of Kev Adams' stuff back in the day.